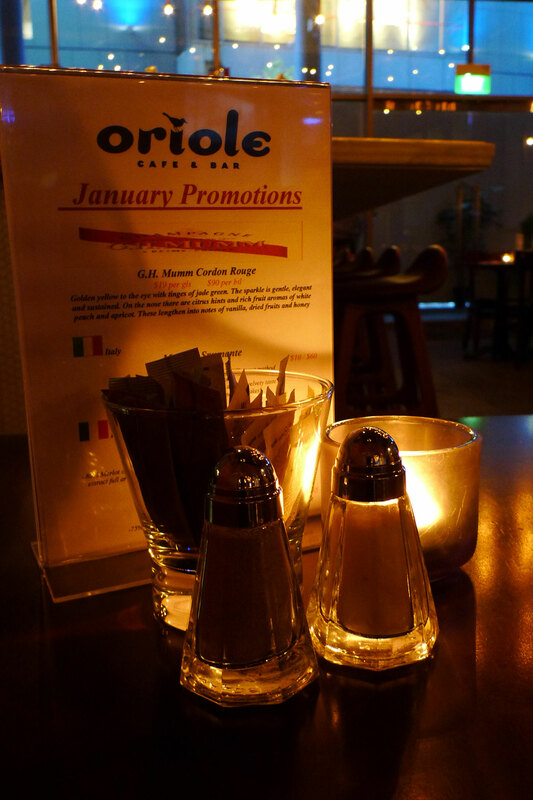 Had a nice dinner after work with my friend at the Oriole Cafe & Bar. 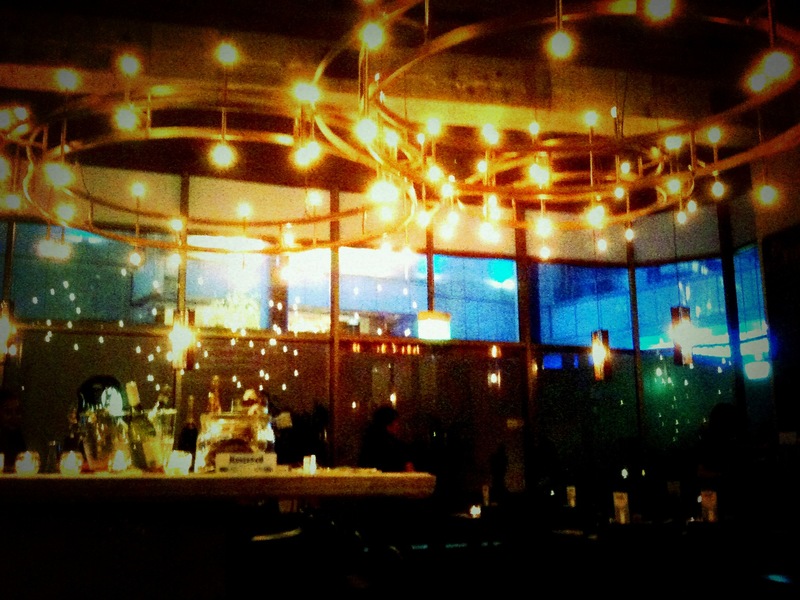 Took a snazzy shot of the interior with the MoreLomo app. Here is the original shot. However pictures are grainy due to almost no lighting at all. 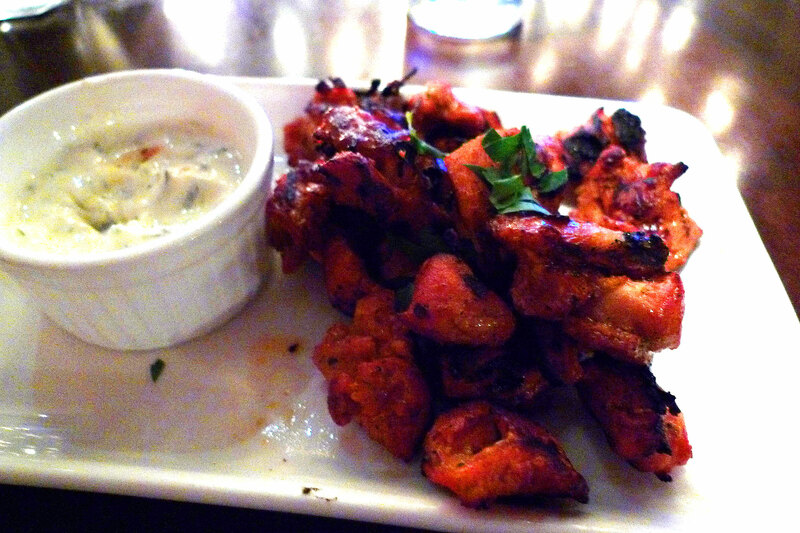 A starter of char-grilled chicken tikka, with cucumber & mint raita. A bit too charred for my tastes, but the raita was quite nice. Fish & chips. 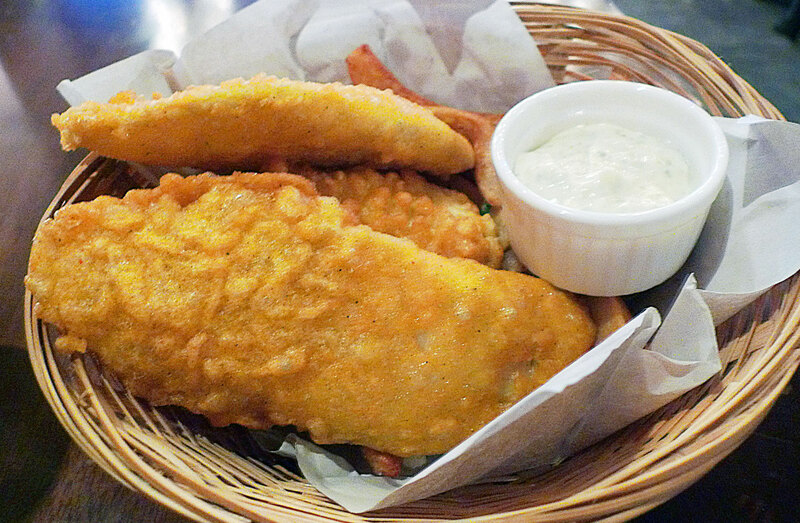 The chips is actually quite nice but the batter on the fish was too tough. 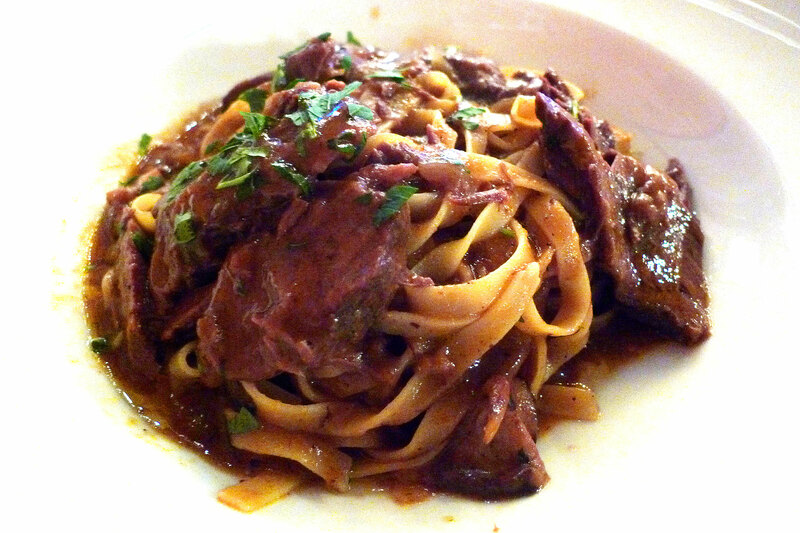 Beef cheek tagliatelle. I love this dish, the beef cheeks are just so tender with just enough fat and the sauce is so beefy. 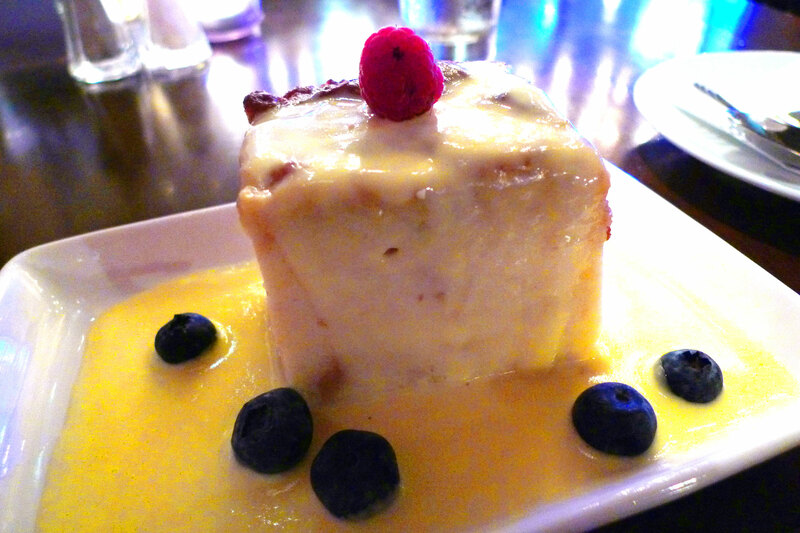 Bread and butter pudding for dessert. Comes with warm vanilla sauce, blueberries and a raspberry. 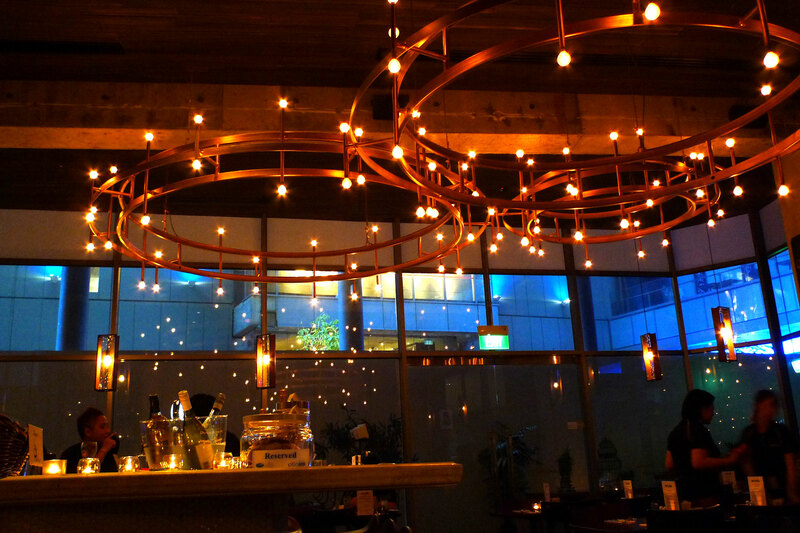 Also as a bonus, order a Tom Collins here for a nice drink. It’s not on the menu so you’ll have to ask the bartender to make it. 2 Responses to "Dinner at Oriole Cafe & Bar"
😀 bread & butter pudding. yumyum i love! let’s go with nor again soon! Yah I want to try some of their other dishes!